Louise P. Griffith helps Julia with Estate Planning and Elder Law/Medicaid Planning. She was born in Charleston, South Carolina, and now lives in Lancaster, South Carolina with her husband, Michael. She is the mother of two sons: Michael and Jason. Louise enjoys reading and motorcycling. 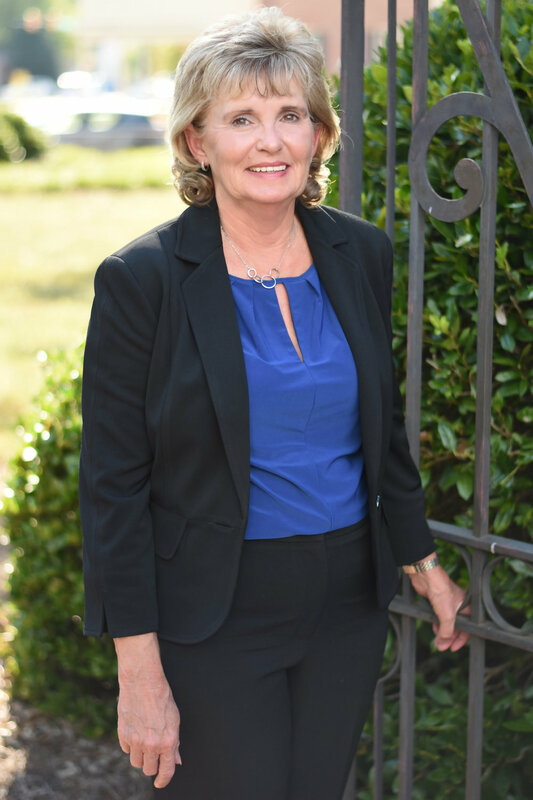 Louise is a graduate of South Piedmont Community College, with a degree in Paralegal Studies and Certification in Legal Office Systems, Business and Corporate Law, and Business Management. In 2007, Louise became a Certified Paralegal (CP) through the National Association of Legal Assistants. Louise has worked as Julia's paralegal since 2005. Our law firm represents clients from all areas of SC, including, but not limited to, York County, Lancaster County, Chester County, Union County, Cherokee County, Fairfield County, Spartanburg County, and Chesterfield County. This includes the areas of Rock Hill, York, Lancaster, Chester, Indian Land, Sun City, Fort Mill, Lake Wylie, Tega Cay, Clover, McConnells, Lowrys, Lewis, Rodman, Edgemoor, Lesslie, Catawba, Van Wyck, Lando, Bethany, Lockhart, Hickory Grove, Sharon, Smyrna, Union, Carlisle, Whitmire, Shelton, Fort Lawn, Great Falls, White Oak, Blacksburg, Gaffney and Spartanburg. Affiliated through the North Carolina Law Office of Frank S. Hancock, our firm handles cases throughout NC including, but not limited to, Gaston County and Mecklenburg County, encompassing the areas of Charlotte, Pineville, Ballentyne, Gastonia, and Monroe. Julia Khaled’s name is sometimes misspelled as Julia Kahled, Julia Khalid, Julia Kahlid, Julia Kuled, Julia Caled and Julia Colette. Please know that any information you receive from our website is intended for general education only and should not be construed as legal advice. We are only able to establish an attorney-client relationship with individuals with whom we have personally. No part of any communication through our website establishes an attorney-client relationship.